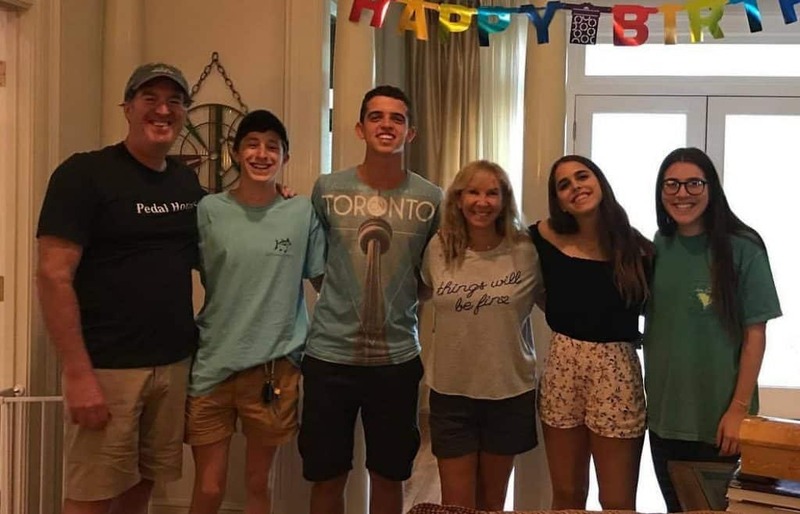 Israeli teenagers Roni Gamzon and Ofek Segal knew they were in for a memorable summer when they landed in the Bluff City in early June. What they didn’t know was that, as the Memphis delegates from the Israel Scout (Tzofim) youth movement in Israel, they would quickly form meaningful relationships with Memphians of all ages. 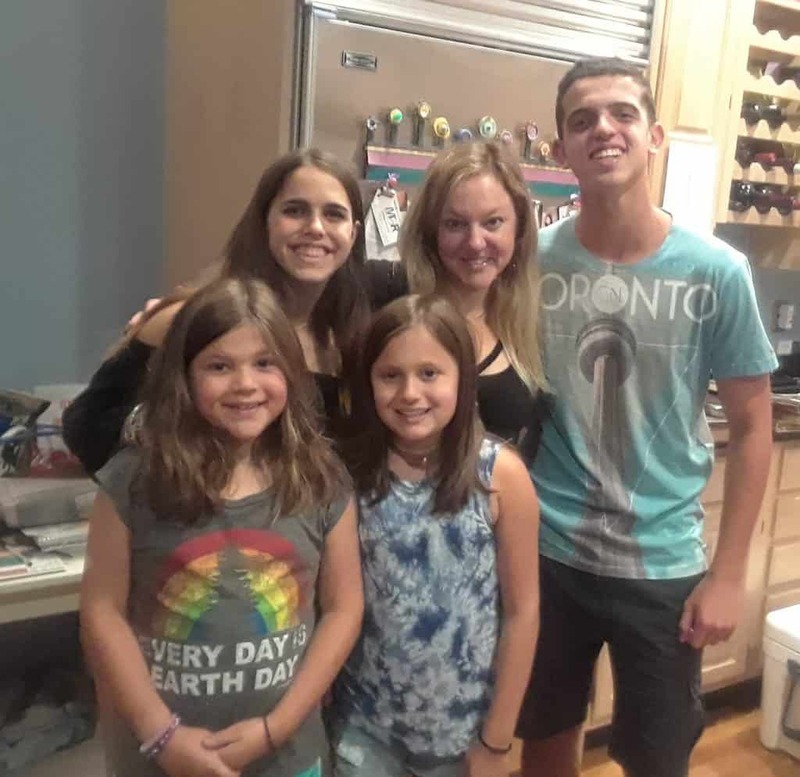 Those relationships were evident on Sunday, August 6, as a group of community members gathered in the kitchen of Michele and Danny Buring to say goodbye to Roni and Ofek and wish them well. Amid laughter and hugs, the Scouts recounted memories both serious and silly. 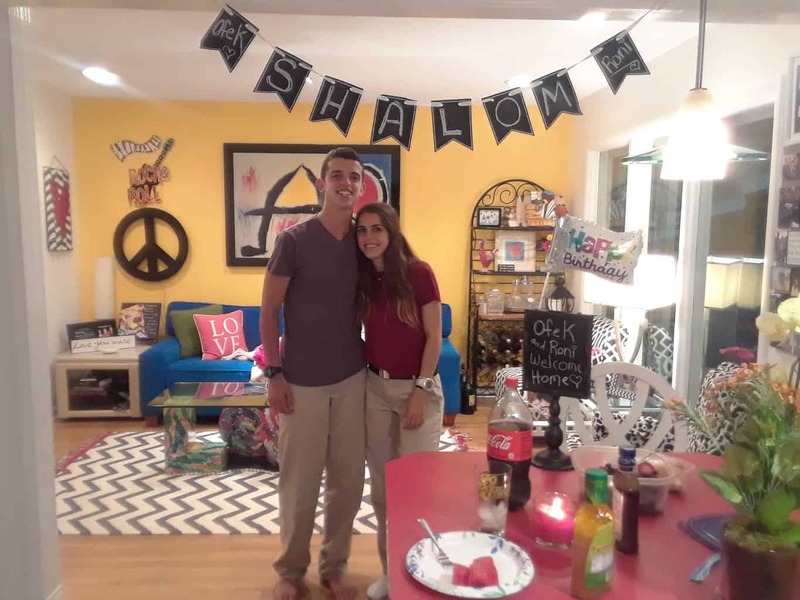 The Israeli Scouts’ goodbye party was hosted by Michele and Danny Buring. Michele is a member of Memphis Jewish Federation’s Israeli Scouts Planning Committee, and the Burings also served as a host family for Scouts Roni and Ofek. From left, Danny Buring, Alex Buring, Ofek Segal, Michele Buring, Roni Gamzon, Molly Buring. Memphis Jewish Federation brought the Scouts to Memphis and coordinated every aspect of their two-month stay, which included serving as Israeli Culture Specialists at the MJCC Day Camp, planning Israeli-themed programs and activities for children ages 3-12. Outside of camp hours, the Scouts enjoyed home hospitality from community members, went sightseeing, and attended services at several different synagogues. 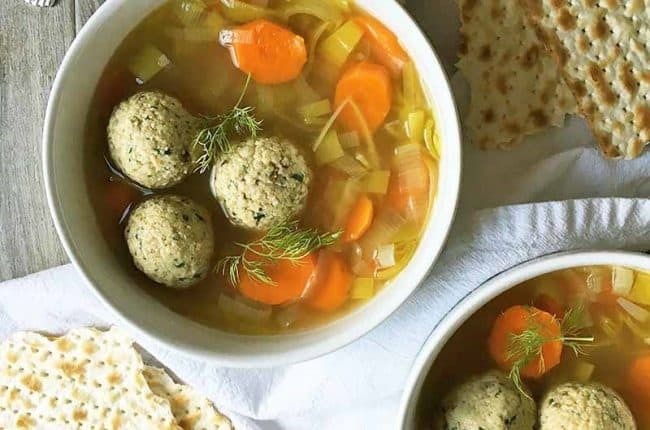 “Now I have tried one of everything!” enthused Ofek, who attended services throughout the summer at Baron Hirsch, Beth Sholom, Chabad, and Temple Israel. The Scouts also pursued other opportunities to interact with the community, joining a senior adult luncheon at the MJCC and serving as bingo callers at Plough Towers. In late June, they were joined by the Southeast Israeli Scout Caravan, a traveling group of their peers whose mission was to share a taste of Israel through song, dance, and storytelling. The Caravan spent a whirlwind three days in Memphis, performing throughout the Memphis Jewish community as well as the broader Memphis community. When the Caravan Scouts performed for the MJCC day camp audience, Roni and Ofek were front and center, helping the Scouts build enthusiasm and weaving through the audience to encourage the campers to get up and dance. Roni and Ofek rotated through several host families throughout the summer, spending quality time getting to know each family and, of course, going sightseeing. For Ofek, getting to know Memphis also meant enjoying some iconic culinary experiences. Having enjoyed challah from Ricki’s Cookie Corner with several different host families, he recounted visiting the bakery and asking Ricki herself to pose for a photo with him. “I told Ricki, ‘you are THE person of Memphis!’” said Ofek, laughing. Kathy and Michael Wexler hosted Israeli Scout Roni Gamzon during her final week in Memphis. Kathy, who is also a member of Memphis Jewish Federation’s Israeli Scout Planning Committee, attended the Scouts’ goodbye party along with daughters Mollie and Kate. 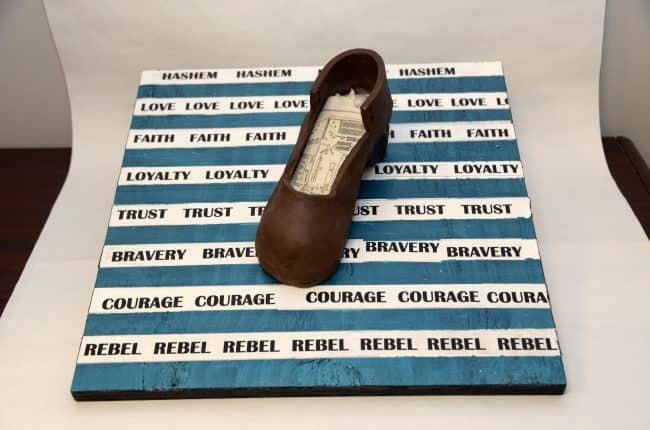 Israeli Scouts is a program of Memphis Jewish Federation, and for 45 years, the program benefited from the incredible energy, generosity, and vision of Art Wolff and his beloved wife, Bert. Art and Bert were instrumental in bringing the Scouts to Memphis for the first time in 1971. Together, they served continuously on MJF’s Israeli Scout Planning Committee until Art passed away in February 2017. 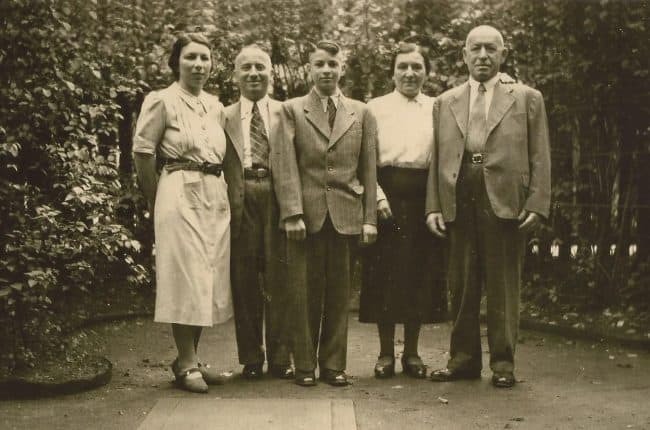 Every summer, they treated the visiting pair of Scouts like their own grandchildren, taking them on outings and insisting that they call them “Saba” and “Savta” (Hebrew for “grandfather” and “grandmother”). Art’s presence was sorely missed this year, and committee members presented a moving tribute to Art during the Caravan performance at the MJCC. Art’s legacy, however, will live on with the creation of an endowment fund overseen by his daughter, Laura Wolff Morris. Thanks to his vision and generosity, the Memphis Jewish community will reap the benefits of the Scouts program for years to come. The endowment fund, “Art Wolff Israel Summer Scouts,” is held by the Jewish Foundation of Memphis, operated by Jewish Community Partners. In many ways, Laura has stepped into her father’s shoes along with Bert, taking Roni and Ofek fishing and horseback riding just as Art used to do. The following families generously opened up their homes to host Roni and Ofek: Shelby and Lee Baum; Michele and Danny Buring; Karen and Harold Cooperman; Jodie and Henry Faber; Melissa and Richard Faber; Leslie and Bill Fargotstein; Naomi and Josh Katz; Monica and Bert Less; Joanna and Josh Lipman; Laura Wolff Morris and John Morris; and Kathy and Michael Wexler. The Israeli Scout program is also made possible by a dedicated team of volunteers serving on MJF’s Israeli Scout Planning Committee. This year’s committee included Kate Basar, Michele Buring, Mark Clemons, Melissa Faber, Leslie Fargotstein, Monica Less, Laura Wolff Morris, Kathy Wexler, and Bert Wolff. Their behind-the-scenes efforts were invaluable in ensuring a successful and meaningful summer for the Scouts.